We just recently finished our greens drainage project to find the last two nights we had a visitor. Our local Red Foxes have been digging up our new drainage, causing extensive damage to the area. We just recently put down some natural animal repellents and tonight we are going to try some chain link fence over the area to keep the foxes from digging. 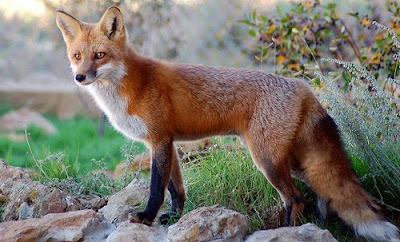 The Red Fox is just one many native animals to the area. Every year we have some type of damage to the course from the local wildlife. We have to remember they were here long before the golf course and us.